It dreams of oceans under other skies. 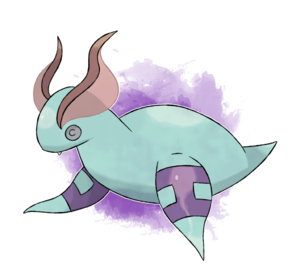 Nudimind, the Reverie tuxemon, is a Water-type monster. Original design by DevilDman. Sprites by Levaine. Back sprite by Sanglorian. Face sprites tweaked by Sanglorian. This page was last modified on 21 October 2018, at 00:25.